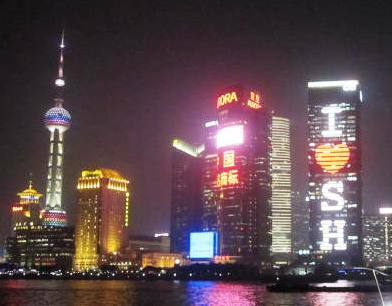 Whenever we used to think of China, more often than not, we’d think of Shanghai. And when we thought of Shanghai, images of 1930’s glamour, junk boats, cosmopolitan streets and seedy opium dens straight out of a Clavell novel came to mind. 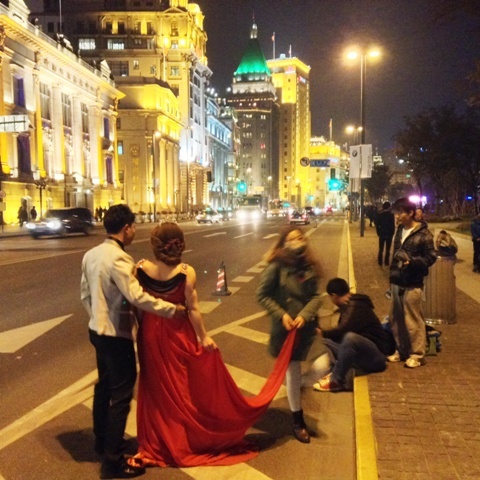 Turns out, Shanghai isn’t at all like that. 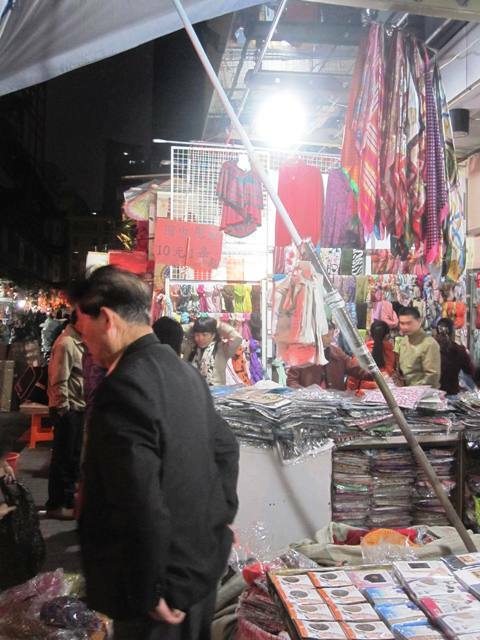 It’s a modern, bustling city crammed with malls and then malls and then … more malls. If you love to shop, you’re in heaven. But if you were hoping for that mystical aura the name of Shanghai conjures, you may be disappointed. 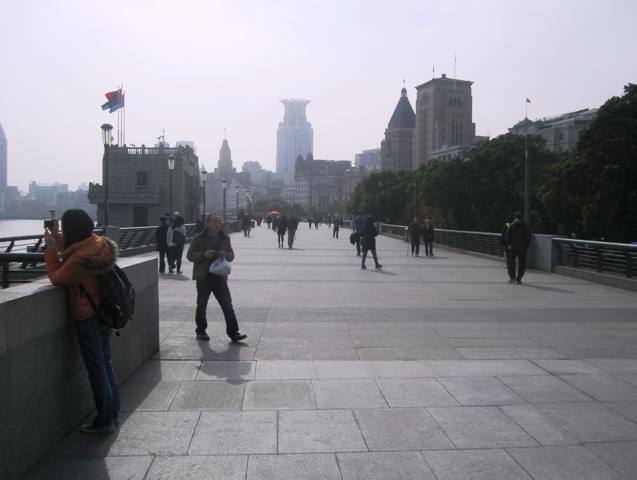 Perhaps the most famous of Shanghai’s sights, The Bund is the historic riverside area, now complete with a promenade walk along the Huangpu RIver where strollers can view the splendor of early 20th century European banking and trading houses lining Zhongshan Road. Across the Huangpu River (which is the last tributary to the mighty Yangtze, incidentally), the skyline of Shanghai’s Pudang district lights up the night, with the landmark Oriental Pearl Tower taking center stage (see post picture above). It’s a beautiful walk at night (and, nice during the day, too, but as the above picture demonstrates, the air quality may get in the way of your photo ops). Getting to Pudong from The Bund: Ferries transport visitors across the river to Shanghai’s Pudong section for a few RMB and underneath the promenade, a “sightseeing tunnel” (which we did not experience) connects to Pudong as well. 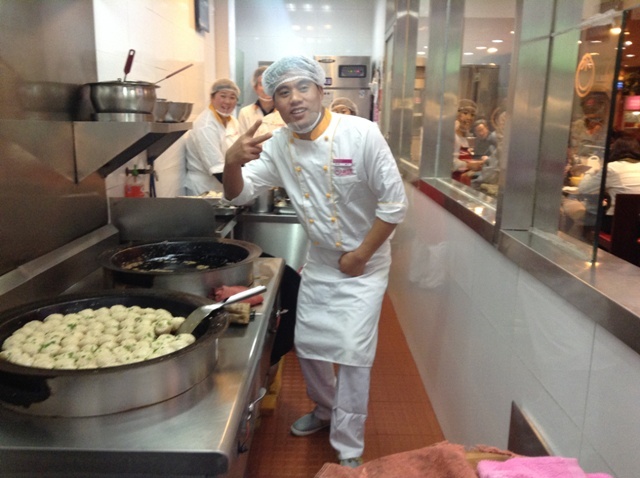 It seems every northern city in China celebrates its fame for steamed buns and/or dumplings. 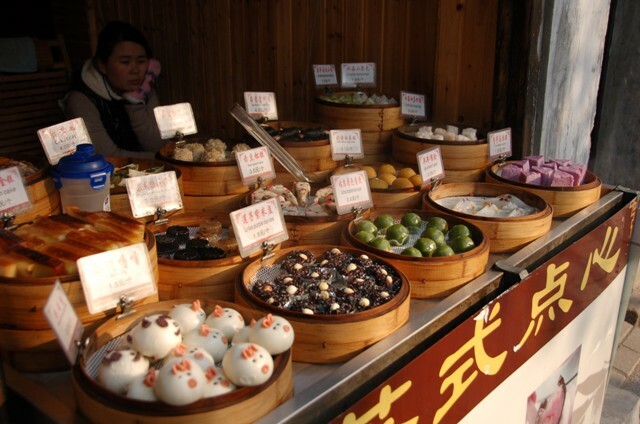 Shanghai is famous for a specific type of steamed bun (more on that below), but in our book, the humble, street-corner food chain “Yang’s Dumplings” takes the cake. 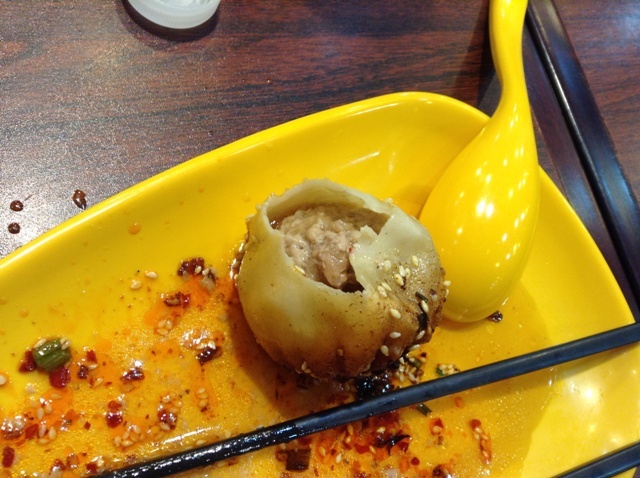 These things are unlike any other dumplings (or buns) we’ve had in China … and we’ve had a lot of dumplings! 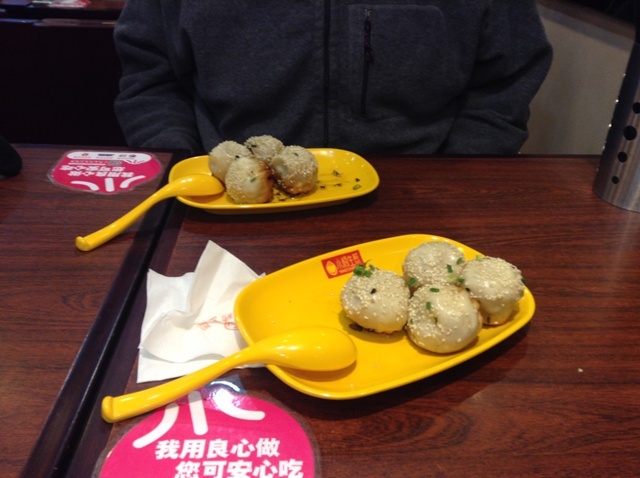 For starters, the bottom half of the dumpling is deep fried rather than steamed or boiled, creating a crunchy crust that traps all the deliciousness inside. Yang’s Dumplings are super cheap and you can see them making them on the spot — but be forewarned. Those unassuming morsels hold a steam bomb of piping hot broth inside. 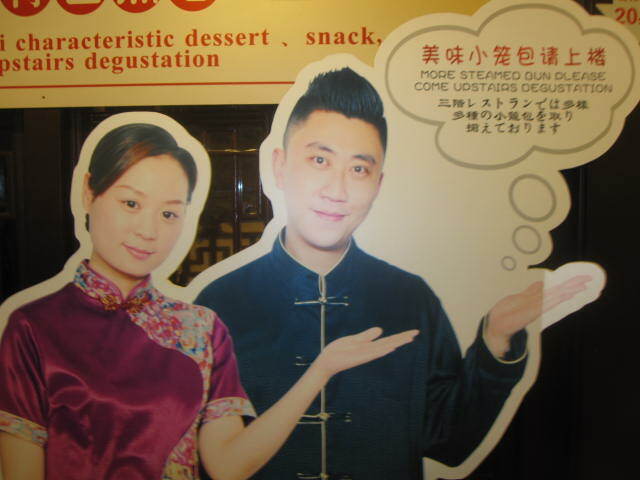 If you aren’t careful when you take that first bite, you’ll be christened with a spray of tongue-blistering juice before you even reach the perfectly seasoned pork! 3. 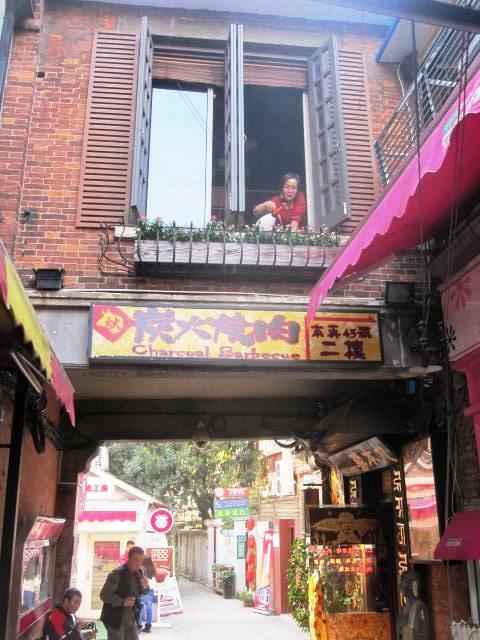 Shop for Souvenirs at Shanghai Old Street (by Yuyuan Garden). 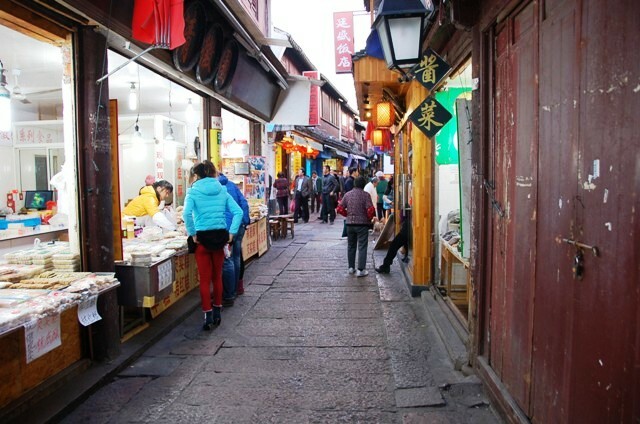 Yes, it is a bit of a tourist trap, but it’s still fun to stroll the streets and alleyways of Shanghai Old Street, located just south of Yuyuan Garden and north of Fuxing Road. 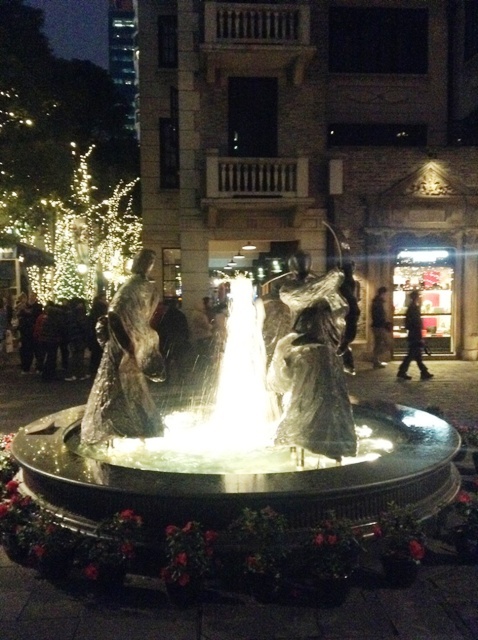 Especially at night, when lights and lanterns transform the area into a magical bizarre. 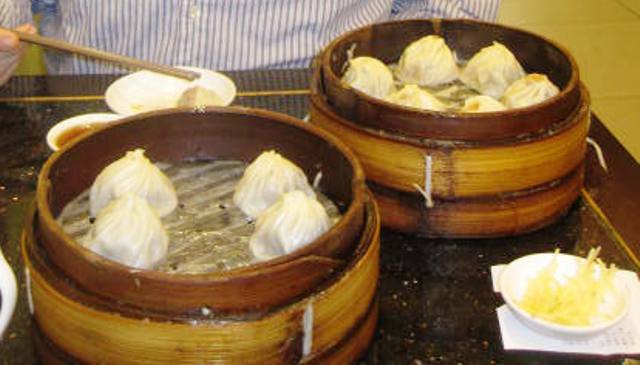 Here’ you’ll find pretty much every souvenir you can think of, bargain down the (marked up) prices, and try Shanghai’s famous steamed buns at the Nanxiang Mantou Dian restaurant. The restaurant is close to the temple in the center of this Old Street area, and you’ll probably identify it by the line of people standing by the take-out window (dining-in is also an option). 4. 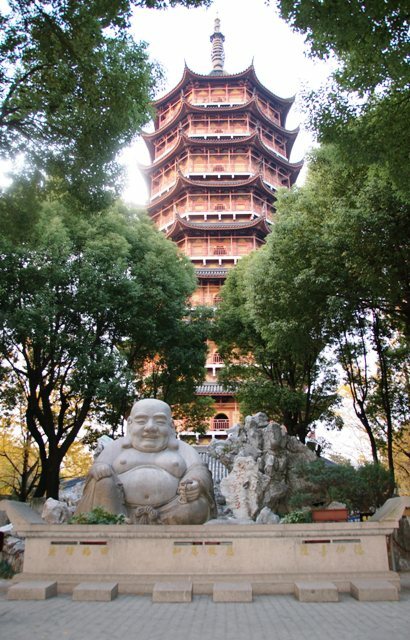 Wander the Labyrinth of Tian Zi Fang. 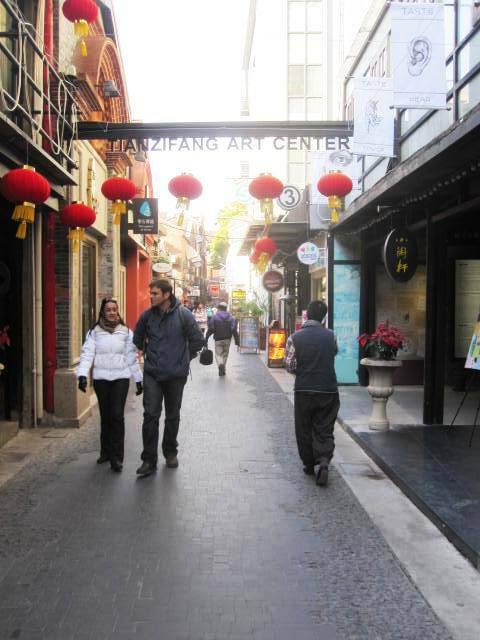 Now that we’ve got that cleared up, here’s what Tian Zi Fang has to offer: Picturesque, residential/small business alleyways filled with Shikumen red brick town homes that have been transformed into a mixed-use neighborhood where residents, cafe owners and funky shops coexist. Here, you can sip that coffee, browse for vintage Shanghai Lady posters (you know, those neat ones with the lady wearing a gorgeous cheongsam and posing with an old-school bottle of ointment or cigarettes or whatnot?) 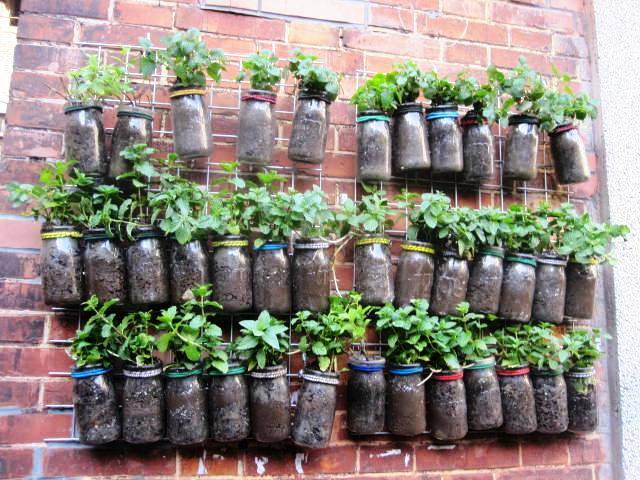 and people watch as residents go about their daily routine. It’s one of the few areas where you feel like you can get a taste of what old Shanghai might have been like back in the day. Maybe the only area. I think it was probably our favorite place to spend an afternoon in downtown Shanghai. Definitely worth the metro trip! 5. 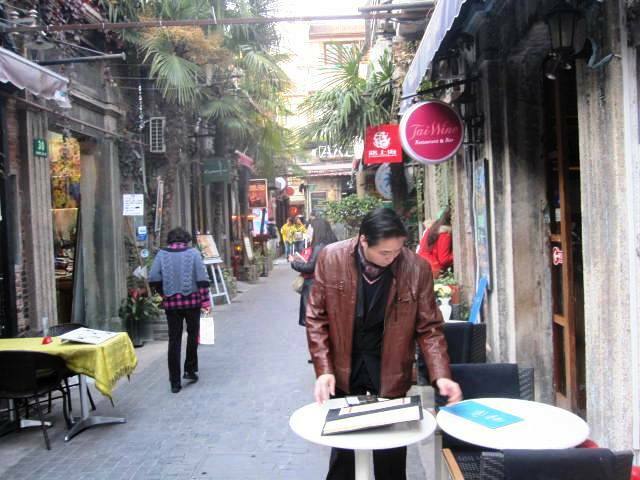 Take in the Restored French Concession Section of Xin Tian Di. 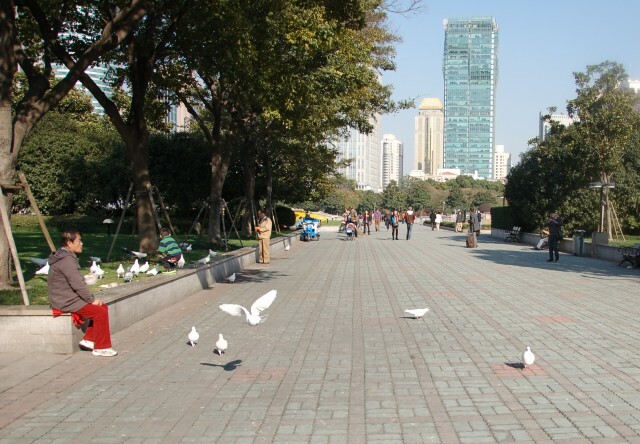 The second interesting area of the French Concession, Xin Tian Di is located in the south-eastern corner of the Yan’an and Chongquing crossroads. It is ritzier and perhaps less authentic feeling than the funky, laid-back neighborhood of Tian Zi Fang (above), but amongst the renovated grey-brick Shikumen homes turned into swanky restaurants and high-end boutiques, you’ll also find historical sights such as the First National Congress of the Chinese Communist Party and the Former Residence of Sun Yatsen, the founding father of modern China, who lived here from 1918 to 1924. 6. 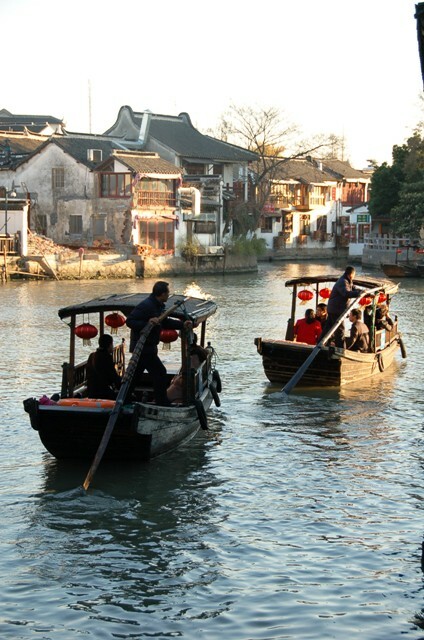 Catch a Train to the Bustling Water-Town of Suzhou. 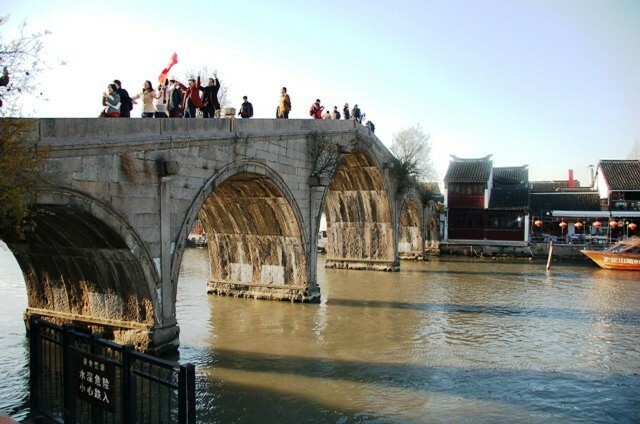 Depending on the station you depart from, the train ride from Shanghai to Suzhou (pronounced “Sue-joe”) lasts around 40 minutes to around 1.5 hours. But the journey is consistently inexpensive (less than 10 USD for the most expensive ticket). Warning: Getting to the bridge (above) from the train station is easy, but from there, finding the Old Town area can be confusing … and a bit of a walk. There are rickshaws waiting outside the train station to transport you there more efficiently, and if we were to visit again, I think we’d take one. 7. 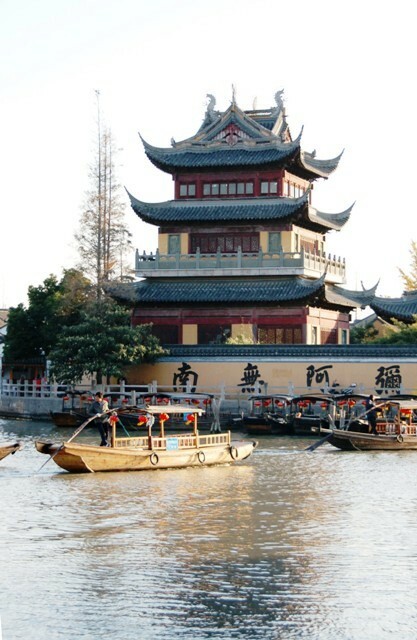 Hop the Bus to the “Venice of Shanghai,” Zhujiajiao (Another Water-town). 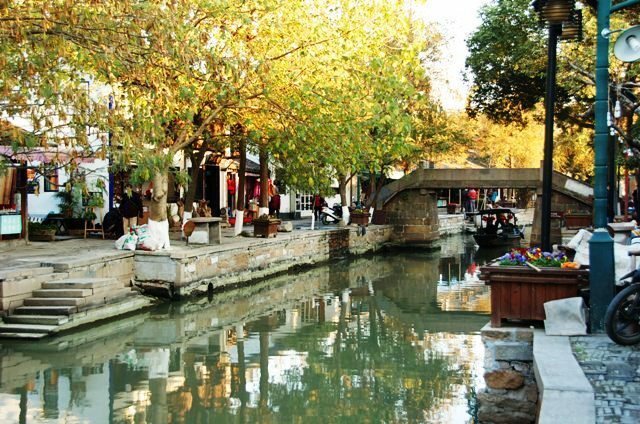 Probably the highlight of our Shanghai trip, Zhujiajiao (pronounced “Joo-jia-jow”) is a charming, peaceful and super-scenic destination. It’s got plenty of the touristy kitsch, granted, but the absence of motorized traffic makes a huge difference . Also, catching the pink bus off Shanghai’s People’s Park (for a ridiculously low fare of about 2 USD) and taking the hour-plus ride to Zhujiajiao is kind of fun. Another nice thing about catching the bus is that you don’t have to worry about missing your stop because Zhujiajiao is the last station for the “pink bus” route! 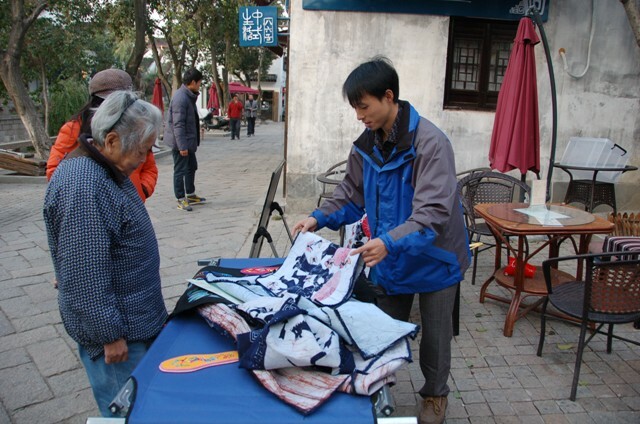 And when you get to Zhujiajiao’s bus station, the center of the old town is much more easily found on your own than Suzhou. Either hop on a rickshaw for about 20 RMB or walk directly across the street from the bus station and then keep walking until you see a cobblestone bridge crossing over a canal to your left. Take that bridge, and you’re more or less in the center of old town. 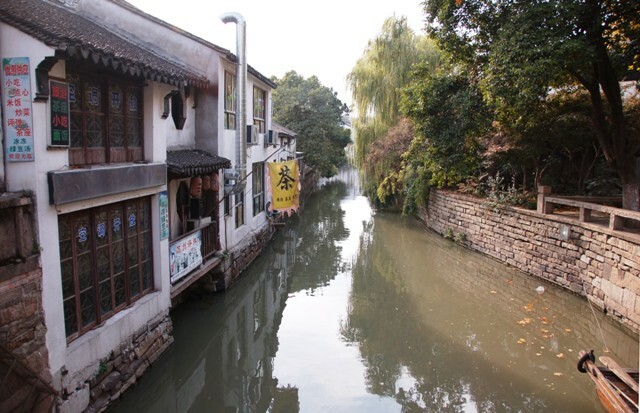 Zhujiajiao is ridiculously photogenic, especially if you’re lucky enough to hit it an hour or so before dusk. 8. Stroll Down Nanjing Road. Even if you aren’t into shopping, you just kind of have to walk — at least once — down Nanjing Lu (“Lu” means road and the two words are often interchanged on maps here). Shanghai’s main shopping street, pedestrian Nanjing Road started out as a British Concession after the first Opium War in the 1840’s. 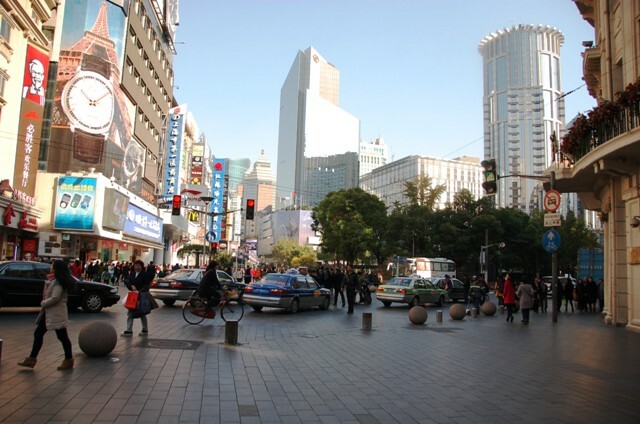 Now a shopping mecca and touted as one of the world’s busiest, Nanjing Lu stretches almost three and half miles from The Bund to People’s Park (where you go to catch the bus to Zhujiajiao) and beyond. 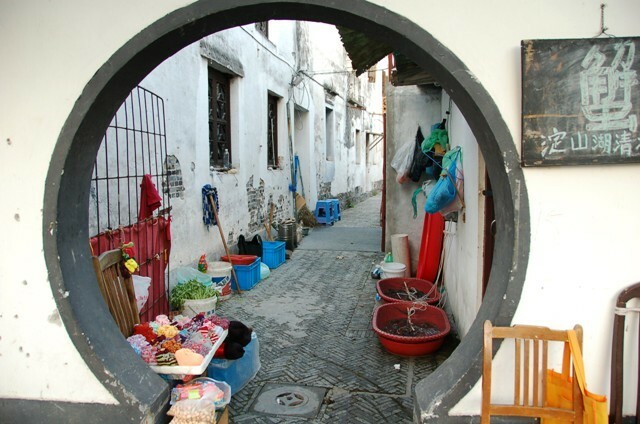 In addition to admiring the array of architecture, you can also find everything from traditional moon-cakes to expertly cut silk to Chinese medicine to Subway sandwiches, and the night scene is a fun place to take in for a while. 9. 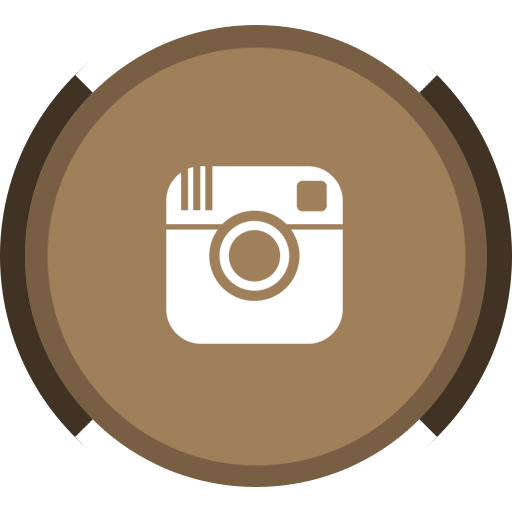 Take in a Micro-Brewery. China isn’t huge into the micro-brewery scene, but Shanghai offers up a few choices. One such choice is the Boxing Cat, but when we visited, they were closed for a private party. We did, however, pay homage to The Shanghai Bund Brewage Company. 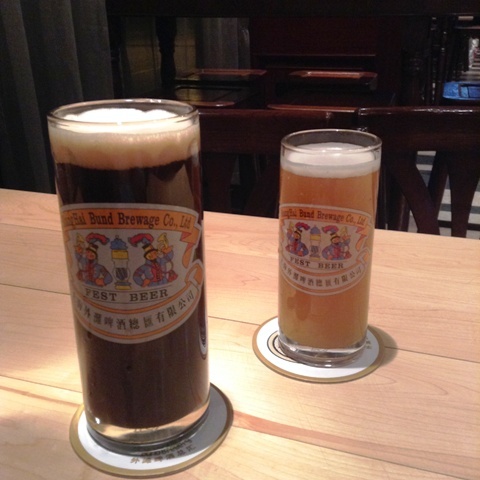 As the name implies, the brewery is located in an alleyway just off The Bund. While we’re normally bigger fans of dark beers, in this case, the lager that I ordered won out as the tastier beverage. I did not appreciate this at the time we took the Maglev from the Pudong International Airport to downtown Shanghai, but apparently, this thing is pretty spiffy. First? It floats on a magnetic field. Yup. Quite literally, that’s is how this baby rolls … er, hovers. Secondly? It’s super fast, as in, up to 268 miles per hour! 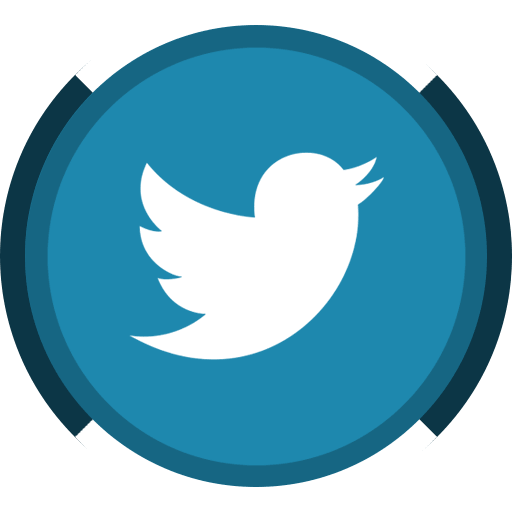 Thirdly, it is the first commercially operated line of its kind in the world! 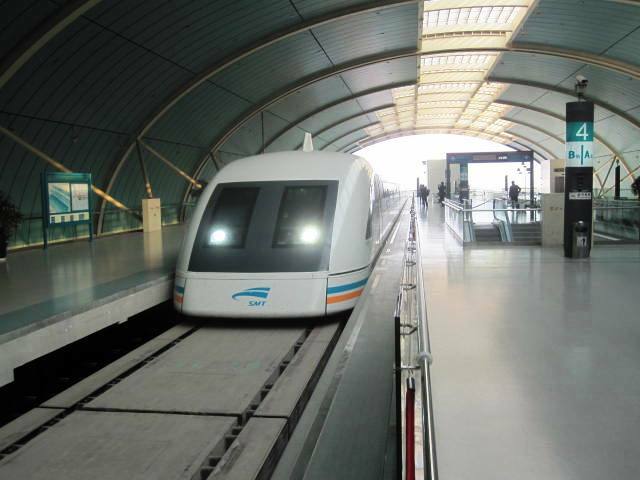 Pretty awesome, actually, and its all part of Shanghai’s fantastic public transport system. Buying tickets and finding the gate to the Maglev is really easy from the airport — just follow the signs. Not Recommended: The hop-on-hop-off bus tour. 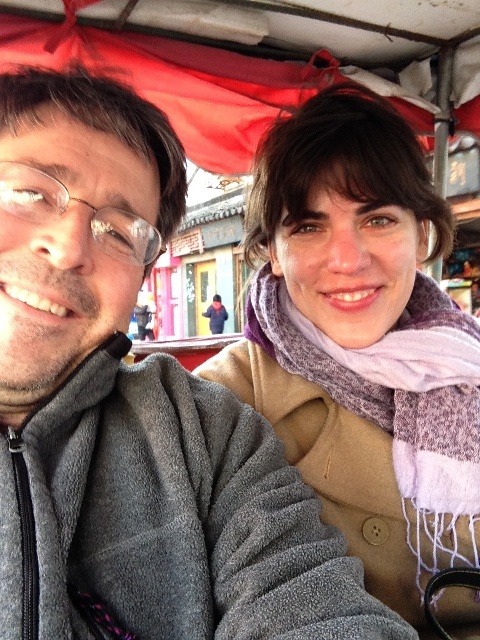 Shanghai is pretty huge, so we thought a bus tour would be a good idea. I can not speak for the operations in cities elsewhere, but in regards to the Shanghai bus tour that we took, it didn’t really add anything positive to our experience. The customer service when attempting to purchase a ticket was frustrating, hop-on-hop-off times were not even close to what was estimated and halfway through one of the lines (they had three tour lines at the time we went), the bus pulled over without any forewarning, instructed everyone to disembark and then drove off — apparently because the driver’s shift was over — leaving the tourists standing on the side of the road for over thirty minutes before another bus picked them up! 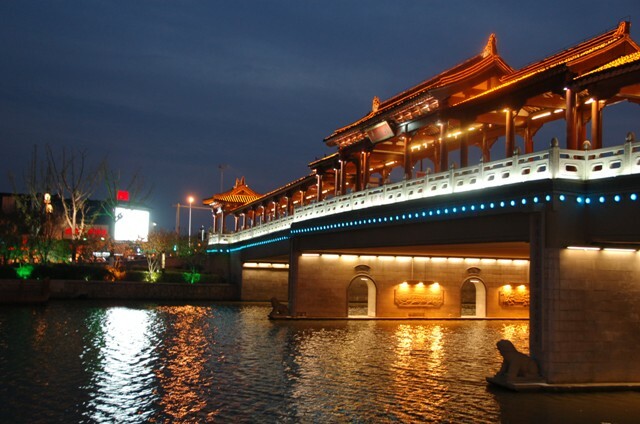 Where to Stay: We did some research and splurged a little to stay at The Bund Riverside Hotel. Shanghai can be a pricey town, but this gem is within walking distance to The Bund and People’s Park, close to metro stations (we took public transport to get there from the airport), is surrounded by local eateries and markets and offers clean, basic rooms for a comparative steal (I think we paid around 60 USD a night! ).